Part #1027 SPX Power Team Long 2/3-Jaw;Pullers (Mechanical) (Reversible Jaws) 3 lbs., 10 oz. Choosing the right size puller: Compare the “reach” and “spread” of the pulling job with that of the pullers listed. The puller selected must have dimensions greater than those of the job. Grip-O-Matic feature on all pullers. The harder the pull, the tighter the grip for removing gears, bearings and countless other press fitted parts. 2-way, 3-way and 2/3 way combination pullers make it easy to select a specific puller for a specific application. Forged from high quality steel, heat treated and subjected to rigorous tests which exceed rated puller capacity. Alloy steel heads are forged for maximum strength. Forcing screw threads are rolled, not cut. This process creates a smoother and stronger thread. Heat treated alloy steel cross bolts for maximum shear strength. 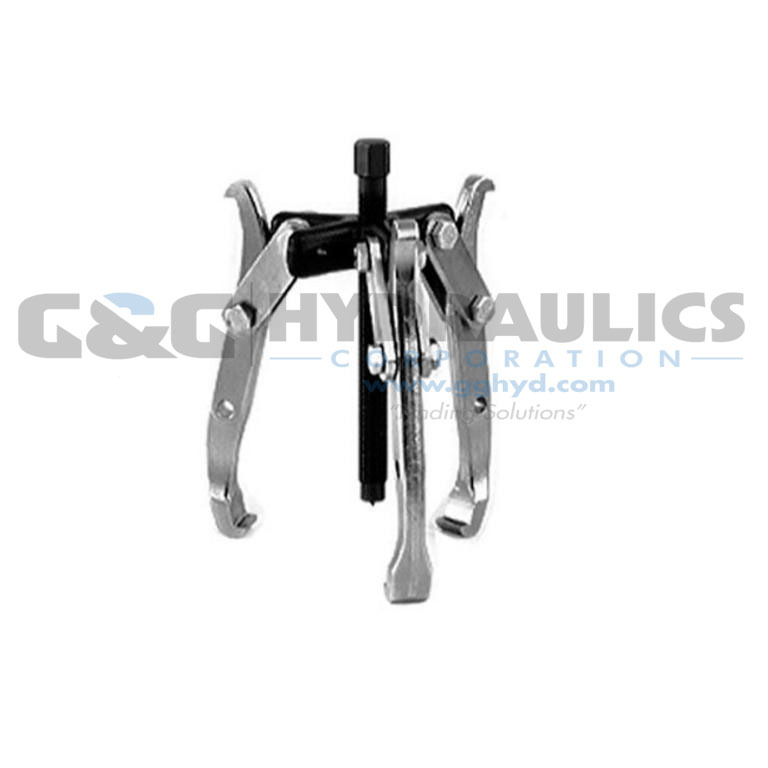 Machined puller jaw toes produce larger and stronger pulling toes. 1027 5 Long 2/3-Jaw; (Reversible Jaws) 3 lbs., 10 oz.